According to the organizers, the roundtable was one of the main events of the Forum. The Forum itself focuses on one of the main goals of the United Nations Sustainable Development Goals: promote peaceful and inclusive societies for sustainable development, provide access to justice for all and build effective, accountable and inclusive institutions at all levels. The topics of speeches of speakers at the roundtable were devoted to the practical problems of the introduction of transitional justice in Ukraine. The event drew the attention of a wide range of specialists to the UHHRU’s study on transitional justice and further work in this direction. Ukrainian and foreign scholars talked about the key dilemmas of transitional justice: “reconciliation – justice,” “truth – reconciliation”, and “justice – truth.” They also raised the issue of the relevance of the implementation of this concept in the Ukrainian judicial system and the context of the rule of law. Another important aspect of the transitional justice system for discussion was the issue of judicial protection and restoration of violated rights of internally displaced persons in Ukraine. The discussion also brought up the experience of other countries that have survived conflicts, in particular, the functioning of hybrid courts in Bosnia and Herzegovina. UHHRU experts continued the discussion in the practical field of the application of transitional justice in the modern phase of the international armed conflict in Ukraine. Particularly, the specificity of the conflict was noted in the Crimean Peninsula occupied by the Russian Federation and certain regions of Donetsk and Luhansk Oblasts, where the Russian Federation effectively controls illegal armed groups. 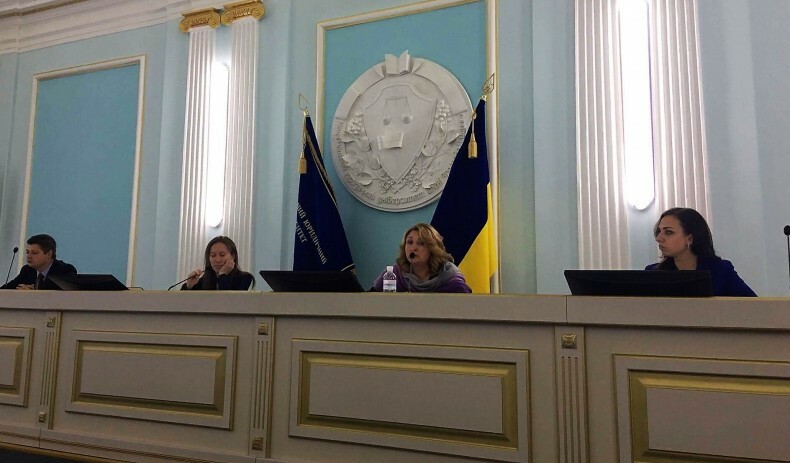 Daria Svyrydova, a UHHRU lawyer, drew attention to the lack of proper legislative regulation for conducting effective investigations of human rights violations and acts of occupation on the Crimean Peninsula by law enforcement agencies of Ukraine. She also talked about the lack of a state strategy for de-occupation; in particular, about such issues as what the official authority of Ukraine will do with the decisions of the occupation courts, and the proceedings that the occupation “investigative bodies” will leave? What is the position of the state with regard to persons in the occupied territories who did not take direct part in the capture of the peninsula and violations of territorial integrity, etc? These questions should be answered nowadays. Alina Pavliuk, a UHHRU lawyer, spoke about the lack of effective investigations of war crimes in the so-called DPR/LPR. She raised the issue of the lack of a system for recording information and searching for missing persons. The lawyer also stressed that norms of the Criminal and Criminal Procedural Codes have not been adapted to the situation of the international armed conflict. An interesting analysis of the elements of transitive justice in the long-lasting conflict in the East of Ukraine and post-conflict reconstruction was presented by Tomasz Laczowski, a professor at the University of Lodz (Poland). Olena Semiorkina, a UHHRU analyst, drew attention to the lack of a systemic state strategy for the reintegration of the occupied territories and the protection of human rights in conditions of international armed conflict. The Union presented the main aspects, which should be included in the strategies of de-occupation of the Crimean Peninsula, as well as the concept of the State Strategy to return Ukrainian citizens that are under the control of the Russian Federation and/or its agents as a result of the armed conflict. Yevheniia Kapalkina, a UHHRU lawyer, using the examples of strategic litigations of the Union, spoke about the current challenges to effectively investigate crimes of human trafficking in the conditions of transitional justice. About 70 participants took part in the roundtable. 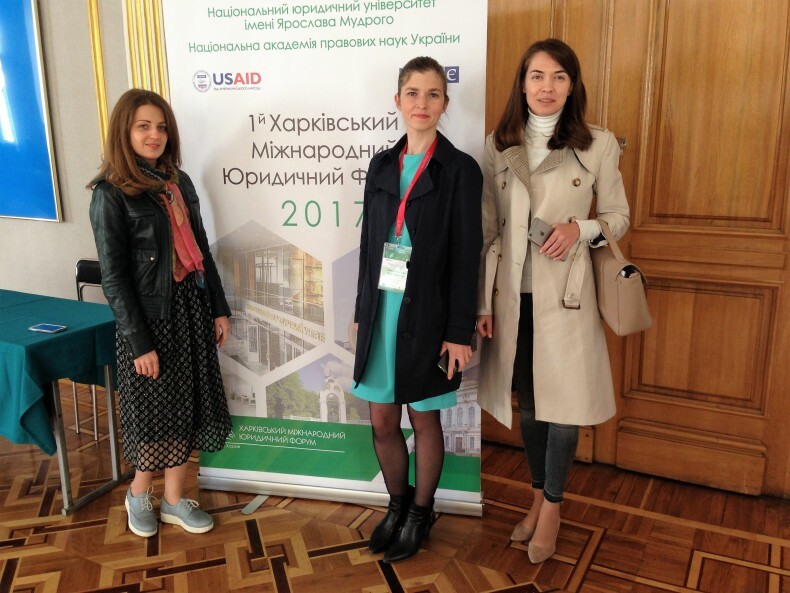 This event was made possible thanks to the generous support of the American people, provided through the United States Agency for International Development (USAID) within the framework of the “Human Rights in Action” project, implemented by the Ukrainian Helsinki Human Rights Union.